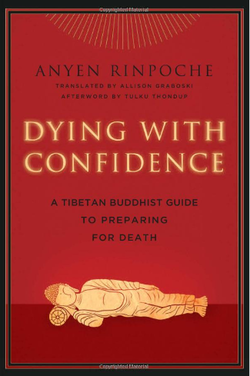 Anyen Rinpoche's book, Dying with Confidence includes Rinpoche’s heart advice to support practitioners through the dying process. The Dying with Confidence training program will give students the guidance and opportunity to master all the skills necessary for a practitioner to use death as an opportunity for enlightenment and to help all sentient beings. To order from Amazon Books, please click here. Students make a commitment to completing all three levels of training to take place over an 18 month period. An application must be submitted to Anyen Rinpoche for his consideration prior to beginning these instructions. Please email﻿ phowa@phowafoundation.org﻿﻿ if you have questions. For more information on topics covered in Levels 2 & 3, please read the ﻿curriculum﻿ on the Phowa Foundation website. For a detailed description of the full training, please visit the ﻿Phowa Foundation﻿ website.